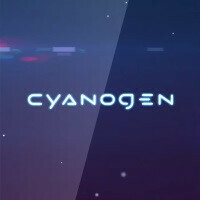 Today, Team Cyanogen premiered CyanogenOS 12's new boot animation, which will be part of the version's upcoming stable version. It looks like the designers are going with the times, showcasing a clean, sleek animation centered around the project's logo. It mirrors the Android stock animation in its style, but the execution is quite different and the result definitely catches the eye! Check it out below. According to the talent behind it, the animation "celebrates space, with minimal letterforms that don’t quite connect, giving the logo a sense of motion and a feeling of inherent energy.” Not that you'll be seeing this work of art very often, unless you compulsively reboot your Android device, but it's definitely a good start to every boot! In addition to the new boot animation, Cyanogen will introduce Boxer as the default e-mail client, and there will be more teasers as Cyanogen 12 stable's release date nears. The first two devices that will be hooked up with the OS are the OnePlus One and the Yureka Yu. Who cares about an OS that is based on another already great OS? And the CEO who "threatens" that they will separate from Google? Woow. If it wasnt for Google in the first place, they would rub mint on their front lawn now. Why would someone give up all the goodies that Samsung, HTC or Sony offer, just to have a "clean" and "fast" OS? To do what with it? Text and call? But "cleaner and faster"? Wow. We can do that on Nokia 3310 as well. It is so annoying when someone forget their roots and start pointing and throwing sh..t.
My toughts exactly , i abandon multi window , IR blaster , superb camera software and hundreds of more features on my s5 just to use "clean" "fast" android , wtf no.People who do this to their phones are either super fans of android or stupid for buying superb phone and turning it into overpriced 3310. The're not "super fans" of Android. they just want to show people how nerdy they are by Installing "Stock CM rom" on their phone and how they prefer "Stock Android" over skinned one. I mean, really? You want stock android and yet you buy the Samsung or HTC flagships?? Why? What's wrong with the Nexus Line??? While I wish I'd have used mulit-window more, I never got into it, so I don't miss it as much as others may. IR blaster works on my S5 with CM. Yes, the camera is maybe 85% as good as it was, (still great imo). At the end of the day, I have an incredibly, error free, fast, waterproof phone with Micro SD and a replaceable battery, and to me, that is worth it trading some of Samsung's features. I know I'm a minority. People get this straight, it is android. There is nothing called Cyanogen OS, it is a modified vanilla android, Google is doing the R&D, release the source code, and ungrateful farts like Cyanogen are adding few skins here and there and few apk's and call it their OS.. oh the irony! The default email client is good enough. Why are they introducing a new one? I bought a Nexus 5 after getting rid of my Galaxy S2 just so that I could install custom ROMs and Cyanogenmod in particular. So far every time I installed CM I was never satisfied with the ROM, the battery life and performance in general. Had I known this was not such a great idea I would have bought a Sony Xperia Z2 that would at least give me great battery life and still great water safety with a fantastic screen. Never will I come back to a Nexus again.